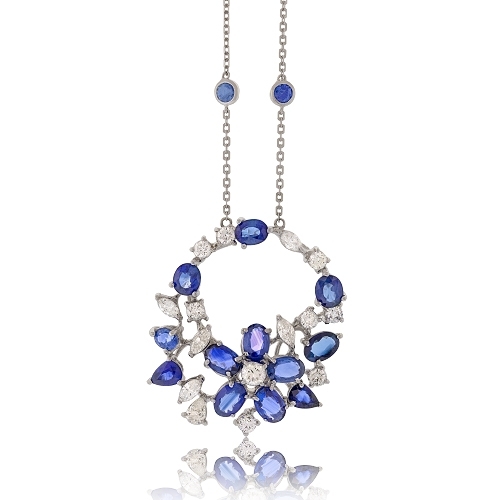 Fine pendant composed of oval blue sapphires & fancy white diamonds prong set in a floral pattern of 18k white gold. Diamonds approx. 1.50ct. Chain 18"